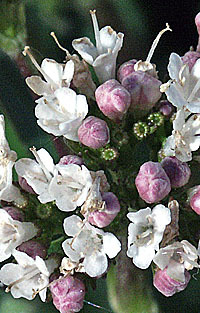 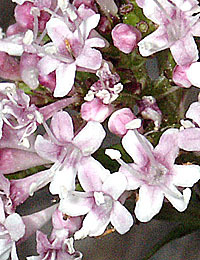 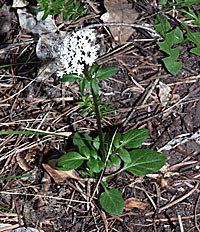 Valerian arizonica, growing in a shaded area along a stream on Atalaya Mountain east of Santa Fe, New Mexico, elevation 6,280 feet. 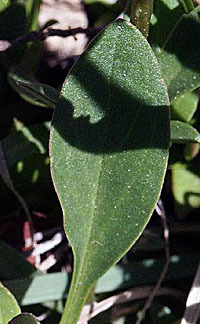 Likes shaded moist areas. 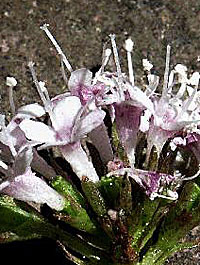 This is a north facing slope. 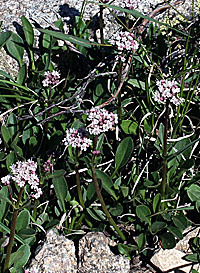 Valerian capitata, growing in an alpine meadow on Mount Princeton, Colorado, elevation 12,000 feet, June 11, 2003.